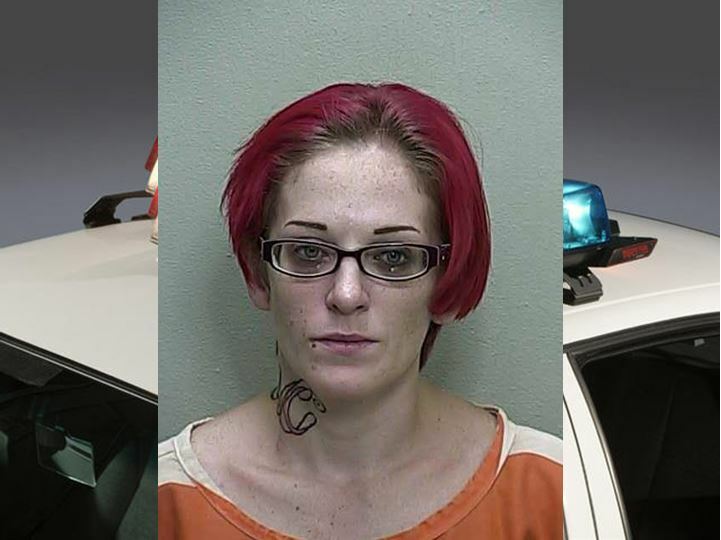 Ocala, Florida — A Summerfield woman who stole a car from the Leesburg Regional Medical Center was tracked to Marion County. According to reports, the Leesburg Police Department requested the assistance of the Marion County Sheriff’s Office after they tracked the car to Marion County. The vehicle had been seen in the 2100 block of Southeast 152nd Place. When deputies responded to the area, Jennifer Marie Brockmeyer, the driver of the stolen vehicle, saw the marked patrol car and sped off. When deputies activated their lights and sirens, Brockmeyer recklessly passed vehicles, followed vehicles too close, and nearly wrecked several times. Brockmeyer eventually crashed into a power pole. She then exited the vehicle and fled on foot, but was stopped by a fence which was approximately 50 feet away from the crash scene. When questioned, Brockmeyer said that she didn’t steal the car. Instead, she said her friend had allowed her to use it and she just didn’t return it in a timely fashion. She said she fled from deputies because she was scared and had outstanding warrants out of Lake County. A search of the vehicle and her personal items turned up MSM, which is an agent used to “cut” methamphetamine, a syringe, and a spoon. Brockmeyer was charged with Driving on a Suspended License, Fleeing and Eluding Police, Resisting Arrest, Possession of Drug Paraphernalia, and Grand Theft Auto. She is being held on a $9,000 bond.